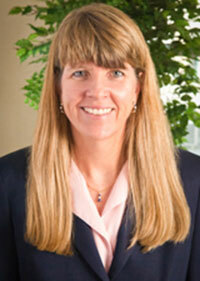 Donna is a seasoned trial lawyer and member of the firm’s Health Care Practice Group. She concentrates her practice on the defense of medical and dental providers, healthcare corporations, and insurers in professional liability, ERISA and Board of Registration matters. Donna defends healthcare professionals facing investigation, discipline and possible sanction in regulatory and insurance matters. She also defends and counsels a major healthcare plan on appeals of coverage denials. For example, Donna received a defense verdict on behalf of four medical providers following a two-week trial in a wrongful death case involving the tragic death of a seven-week-old infant from a rare complication following intestinal surgery. She also achieved an arbitration award exonerating a nurse midwife in a case involving fetal death. Donna has extensive experience in complex and lengthy cases at trial. In 2017, she was able to secure defense verdicts in three such trials. She also successfully argued for the summary dismissal of a complex ERISA claim brought against a medical insurer. Additionally, Donna counsels individuals and practices regarding employment, risk management, quality assurance, and compliance concerns. She has been invited to speak at major healthcare organizations in Massachusetts, including presentations to Harvard Teaching Hospitals. When away from the office, Donna enjoys spending time with her family. Medicolegal Issues re: Students, Residents, and Fellows. Co-presented with Vandana Madhavan, MD, MPH to MassGeneral Hospital for Children Medical Education Summit. 26 September 2017. Risk Management in Nursing: Legal Documentation. Presented to Reliant Medical Group. 11 May 2017. Anatomy of a Lawsuit. Presented to MGH Hospitalists. 19 May 2016.